When we think of a dramatic play interest learning center, many times we think of the "Housekeeping" or "Home Living" area of our classrooms. They are GREAT areas, however, not the only way to provide Dramatic Play! 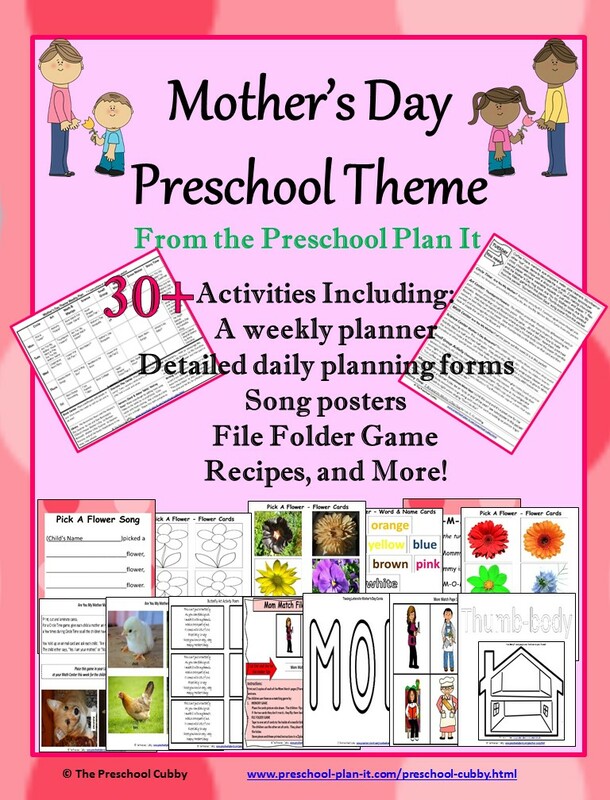 Let's look at what Dramatic Play refers to and what children learn by participating! 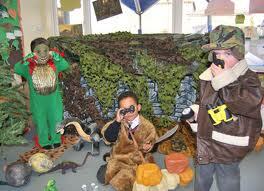 What do children learn while playing in a dramatic play area? Develop socio-emotional skills by playing out situations from their own life or from pretend theme situations, which help them learn more about themselves, their friends and the world around them. Develop large (gross) motor skills by moving tables, chairs and other items during play. Develop small (fine) motor skills by using smaller items (such as play food, utensils etc.) during play. Increase their language and problem-solving skills as they play in this area with their peers and work out play scenarios. Express their creativity by developing themes to play out. How should the teacher prepare for a Dramatic Play Interest Center? Teachers prepare for this area by pre-planning what theme will be used in the dramatic play area (if you have a theme-based area). You also prepare by checking items for safety (purging any broken or worn items), by adding theme related items and by supervising the area to make it a safe place for children to pretend play in. The children will not need suggestions or planned activities for this area, just props and the opportunity to use their imaginations. 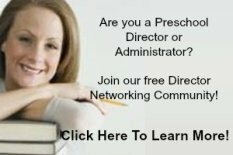 Where should the teacher locate a Dramatic Play Interest Center? 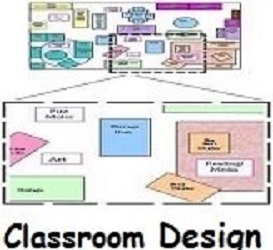 In one classroom, we found that Housekeeping or Homeliving was always popular, therefore, we had a permanent space for it all year. In addition, we had a theme related drama area elsewhere in the classroom. This one would be changed to reflect the theme we were working on (our themes lasted 2 weeks or more). A Dramatic Play Area needs a large space. This area is very active and busy and, therefore, should be set up near other busy areas. Avoid placing it next to quiet areas such as your classroom library. 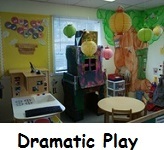 For suggestions about where to set up your Dramatic Play and other Interest Centers, click here or the Classroom Design Picture. Again, this will depend on the type of area. For this area, you will need a play kitchen (refrigerator, stove, dishes, utensils) as well as play food, a table and chairs, play telephones, dolls, beds or cradles for the dolls and clothes. 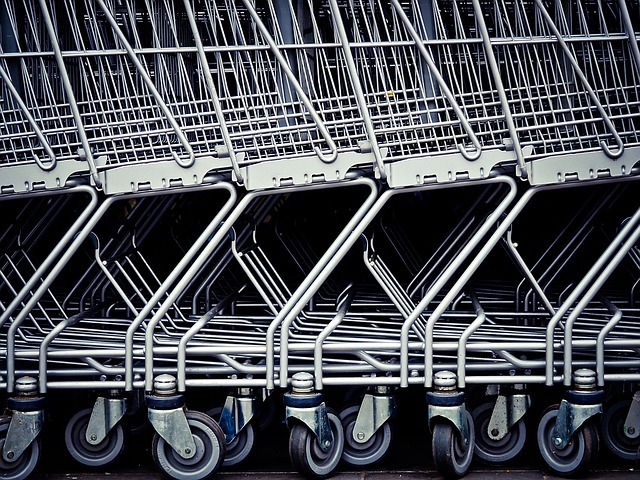 There are many more items you could provide--think of your own home! Perhaps you could have a Dustbuster, a child sized broom and dustpan or vacuum cleaner, etc. The picture at the top of this page is a Housekeeping or Homeliving Dramatic Play area. One resource I simply could not do with out is The Creative Curriculum by Diane Trister Dodge. I believe every classroom should have one! 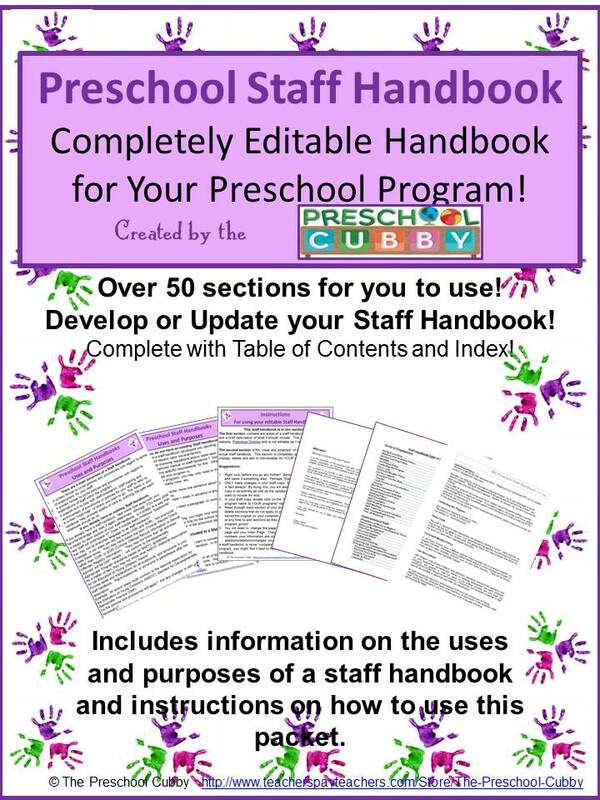 If your program does not have a copy, check your local library or bookstore. 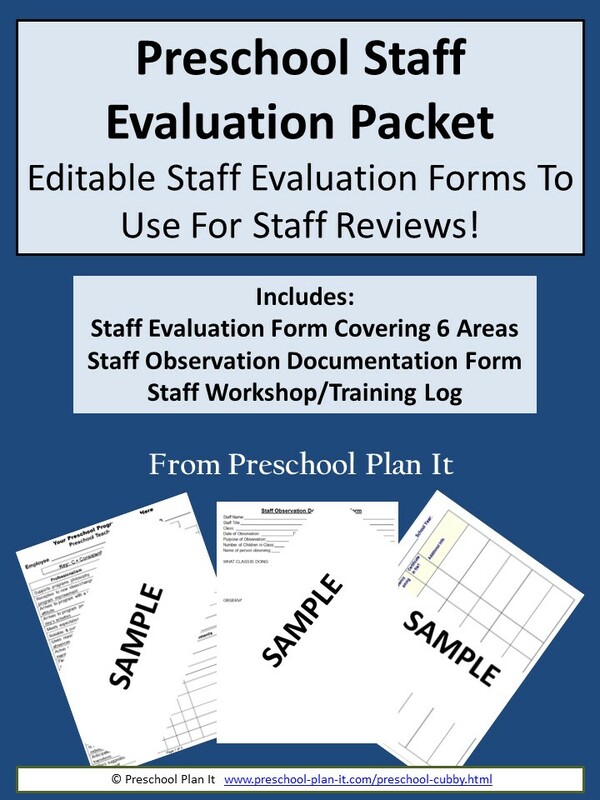 It is a wealth of information on interest centers and could not be more developmentally appropriate! You can purchase a copy through Amazon. Click link to the right to go to their website. This is where you let your imaginations run wild! What is your theme for the next few weeks? Is it dinosaurs? Why not set up a dinosaur cave! Hang a dark sheet or streamers from the ceiling in this area. Add stuffed dinosaurs or dinosaur costumes, plastic eggs (for their babies!) perhaps filled with small, plastic dinosaurs, books about prehistoric times, play food, etc. Click here to go to my THEMES page. 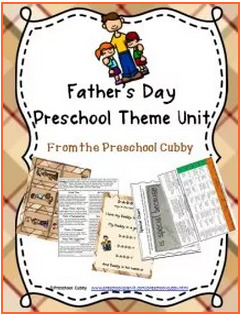 Under each theme, you will find suggestions for changes to the Dramatic Play Area for each theme! 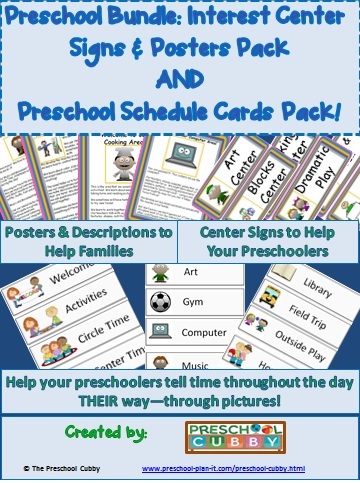 A dramatic play interest learning center or pretend play center is an area that I recommend having available each and every day. It is one of the few places in the preschool classroom where the children can use their creativity, imaginations, language and problem solving skills at the same time! Go to the MAIN Interest Learning Center Page to read about more Interest Centers!